Xiaomi Redmi 3S and Redmi 3S Prime next sale on Flipkart is to take place on 10th February 2017. It has been selling like hotcakes on the popular e-commerce site of India. The extreme demand in the Indian smartphone market is making the scarcity of the latest Xiaomi phones. Thus, it has not been available for the immediate purchase till now. However, it will be sold on Flipkart in a number of upcoming flash sales. So, there is no need to get disheartened for the interested buyers. The upcoming sale is January 4 in the first month of the new year as per the listings on Flipkart. Check: Top Sony PS4 Games In 2017. The phone will be available in limited stocks. So, we recommend you to think clearly before the sale start and buy it as soon as it can be found on the site at 12 noon on Wednesday. There are offers for Axis bank customers. Both the variants will be available with a five percent discount. When: Lenovo K6 Power Sale. On a general note, Redmi 3 S costs Rs. 6,999 while the upper version Redmi3S Prime comes at Rs. 8,999. The Chinese tech giant, Xiaomi has launched the smartphone according to the current trend of the Indian market. There is only a very few difference between them. The only difference between the two is their RAM and internal storage combo and fingerprint sensor. Redmi 3SPrime sports a fingerprint sensor, 3GB RAM and 32 gigs of internal storage. 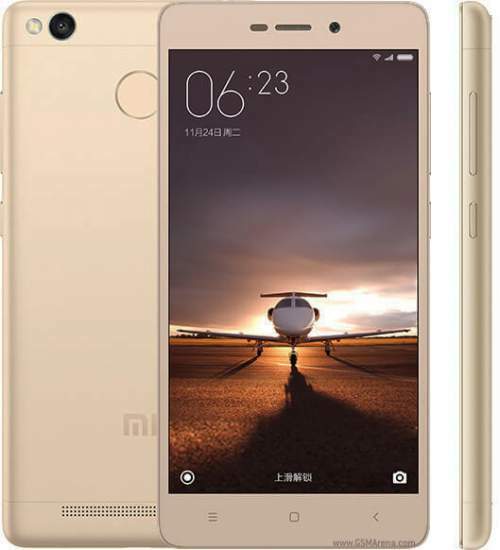 Redmi 3 S comes with 2 gigs of RAM and 16 GB internal memory, and no support for the fingerprint. Other specs of 3S Prime and 3S remain the same. Both are available with a standard metallic design, a 5 MP camera on the front side, a 13MP camera on the rear side, and sports a 5-inch HD IPS display. Qualcomm Snapdragon 430 chipset powers the phone with Adreno 505 GPU. It houses a 4100 mAh battery. On the connectivity features, it comes with support for dual SIM, 3G, 2G, 4G LTE, and other standard features like WiFi, Bluetooth, etc. Both the smartphones are available in three color options gold, dark grey, and silver. All of them will be offered in the coming sale on Flipkart. Moreover, both will be available on Mi.com, the official website of the smartphone company. The sale is tomorrow, Jan. 4. There is no information regarding the further sales. Thus, buying the phones is the safest bet for now.